The Independent Winegrowers Association (IWA) of Portugal is a recently formed group of enthusiastic, forward thinking winery owners, with representation from most of Portugal’s key wine regions. The six members of the IWA produce more than 50 styles of wine, including dry red and white wines from the Dão, Bairrada, the Douro and Vinhos Verde, to Port and more unusual sweet and sparkling wines. I visited all six members estates in July 2006, travelling extensively around these regions. The members of the IWA came together for a fabulous dinner in the Bull and Bear restaurant in Oporto on our final evening, and they seemed like a genuinely gregarious, enthusiastic and passionate bunch. But they are far from homogenic: vivid differences emerged not only in the wines, but also in attitudes to various issues. Over the few days of my visit, it was the spirit of independence and a great striving for quality that particularly impressed and that binds this geographically and philosophically diverse bunch. The Quinta do Ameal estate dates from the 1850s, but the Araujo family has owned it for just 15 years. 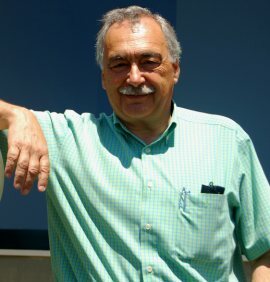 I met with Pedro Araujo and tasted the wines under the shade of an awning outside his winery. I knew some of these wines already, as they are brought into the UK by Corney & Barrow. 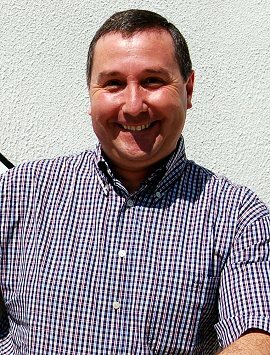 Pedro is a serious winemaker, determined to show that the undervalued terroir and grapes of Vinho Verde can be harnessed to make great wines. He is particularly devoted to the Loureiro variety, which he has planted in favour of other indigenous varieties. Amongst a series of constant innovations Pedro has cut yields from 17 tons per acre to just five tons per acre, mostly through green harvesting. He farms organically, with cover crops – legumes, grasses and clover – grown between rows to loosen soils through the roots and get oxygen into earth. In the winery he has cut the time from tractor to press from two hours to one by re-thinking logistics, and whilst I was there he was trialing a machine from the Portuguese wine institute that stabilises wines by electro-dialysis rather than chilling to cold temperatures. Quinta do Ameal is a very personal, hands-on and high quality operation. Vinho Verde, 11.5%. Beautifully fresh and mealy, with floral and pear notes and hints of honey and peach skins. On the palate there’s a mass of lemony acidity and weighty fruit. 60,000 bottles. £8.48, Corney and Barrow. A vineyard selection. Barrique fermented in three and four-year-old barriques for six months, with battonage. A definite added buttery and lightly honeyed, nutty quality. The pear quality of the fruit still comes though, with an edge of minerality and plenty of pithy, sharp as a razor acidity in the finish. Not in UK, 8,000 bottles. A treat to taste a mature bottle, shown by Pedro to indicate that his Vinho Verde can age. Beautiful old Riesling-like notes of honey, wax and gentle petrolly notes. Lovely waxy fruit quality to the aromatics. Intriguing. The palate has a very dry quality, with succulence and more of that waxy character. Not available for sale. Very sherbetty and touches of vegetal, leafy notes from this 100% Arinto wine, with freshly crushed herbs and grass. The palate has good weight with plenty of fresh, crisp, racy aromatics. Lots of lemon and sizzling burst of freshness. Only around 2000 bottles, but will be less as Pedro will make some sparkling wine from this base in future. Not in UK. The estate cannot use the name ‘Casa de Cello’ on their front labels, as the giant Sogrape has a ‘Cello’ brand that was registered first. Their Vinhos Verde appear under the Quinta de Sanjoanne label, and wines from their Dão estate under Quinta da Vegia. 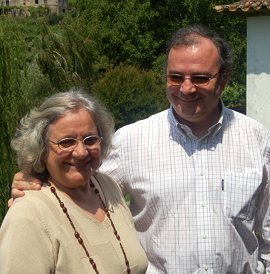 Left: João Pedro with his mother at the Quinta. This entry-level wine had just been bottled and is a blend of Arinto and Avesso. A lot of sulphur at present, with some green and nettly notes coming through. Nice fresh dry apple and lemon fruit starts to emerge, which is very pith and dry. Blend of Avesso and Loureiro. More pear and apple fruit aromas, with a touch of floral and green notes. Lovely succulent fruit on the palate, with lots of lemon and dry, apply qualities and very dry, pithy lemon finish. £5.85, Caves de Pyrene. Has developed a honeyed quality, with a touch of waxiness and mineral. Nice mouthfilling palate, with a succulence to the fruit and a little touch of caramel. Certainly lacks the lemony acid blast of the younger wine, but retains good freshness and a lovely, long and balanced finish. Oak fermented, a blend of Alvarinho, Avesso and 5% Chardonnay. Lots of leafy qualities here, a touch vegetal, with plenty of layered nutty and apple fruit. Broader, mouthfilling white fruit – notes of underripe melon and apple. Very savoury, with a broad-based but decisive lemony acidity. Needs food, but long and mouth-watering. Touriga Nacional, Aragones (Tempranillo), Alfrocheiro. No oak. João bought this 20 hectare property in 1999, to make red wines only. Vibrant purple colour. Dry, very vinous nose, with dry cherry and redcurranty fruit, with a fine raspberry quality. Lovely raspberry fruit on the palate, with a dry grippiness, but plenty of dry, savoury fruit, if a touch inky – plenty of extraction, but retains elegance. No oak, Aragones, Touriga Nacional. Much riper, sweeter fruit on the nose, with lots of blackcurrant and quite fat, sweet berry fruit that has a plushness and almost minty quality. On the palate plenty of freshness, but a ripe, full, very delicious fruit quality, with a nice bittersweet plumskin edge and a delicious, supple tannin quality. Superb. £6.60, Caves de Pyrene. Touriga Nacional partly aged 5 months in oak. Very rich, with a chocolaty tone in the background and masses of ripe, pure black fruit. Little touches of earth and plummy darkness. On the palate a fine, steely core, but wrapped in ripe, sweet berry fruits and a certain spice and cedary quality. Lovely length here, and a really silky texture, with supple tannins and has retained good acidity. 5,000 bottles. I was already a huge fan of these very modern, and very stylish wines from Nuno Araujo, brought into the UK by Corney & Barrow. I have recently recommended his white as ‘Wine of the Week’, and his rosé as one of my top pinks for summer 2006. Quinta de Covela is a beautiful south-facing estate, formed as an amphitheatre overlooking the Douro river. Farmed organically, 19 hectares of terraced vineyards curl around the ruins of the original 16th century manor house, in which Nuno (right) prepared a little tasting. Nuno is convinced that it is his organic regime that has led to him producing some superb wines in a very hot, drought vintage like 2005: “the fruit retains balance and keeps its acidity and minerality.” He says his vines “absorbed the shock” of such a tough year without showing signs of distress.Nuno’s journey with Covela really started in the 1980s, when he began studies to fully understand the potential of his vineyards. Experimental planting of over a dozen grape varieties, both Portuguese and international, helped him select those that would adapt best in this terroir. Portuguese varieties Avesso and Touriga Nacional were chosen as the backbone for white and red respectively, but international varieties like Chardonnay and Merlot were embraced too. All work on the Quinta is done by hand, and vinification takes place in both barriques and stainless steel vats. See all Quinta de Covela stockists on wine-searcher. A base of Touriga Nacional, with some Cabernet Franc, Merlot and Syrah in the blend. This wine is unoaked, with stainless steel fermentation (there is an oaked version too). There is a green, herbal note at first, but with 13.5% alcohol and plenty of fruit this is not underripe. There is plenty of lush, full berry fruit. On the palate that ripeness and full , sweet fruit continues, but there is crispness and crunch too, with juicy acidity and a touch of spice into the finish. £12.83, Corney & Barrow. Domingos Alves de Sousa took me up the torturous and bumpy path to the very top of his Douro vineyards to see for myself the steepness, soils and sheer beauty of this site. The name of Alves de Sousa may not be one of the best known in the Port world, but Domingos is part of a family whose vineyards have supplied the Port trade for generations. 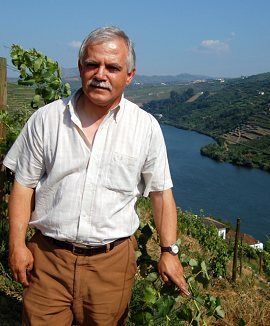 In 1987 he gave up his career as a civil engineer to dedicate himself to the five Quintas (wine estates) owned by his family, and made the decision to change from supplier of grapes, to producer of estate-bottled Douro wines. 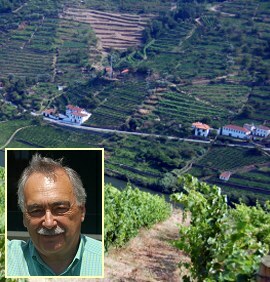 Having studied in Portugal and Bordeaux, he has built new cellars and assembled a winemaking team. The range of wines now produced is large (and slightly confusing) with the five single quintas to contend with, plus a range of ‘personal reserve’ wines. Styles cover everything from white, rosé and red wines, to Port. 30% in French in oak for 2 – 3 months. Fresh mint leaf and herbal notes dominate in this field blend of Malvasia and other indigenous grapes. Lightly toasty with nutty Cox’s Pippin notes and a leesy richness. Palate has plenty of grip and bite, with high concentration. Dramatically dark golden colour. Very old vines. Extremely rich, nutty, lightly oxidised notes, with masses of coconutty sweetness with butter and a certain figgy quality. The palate has a big herbal character, very like a quality white Rioja, with lots of nuttiness, apricot kernel fruit and a huge finish showing a little oak and a still plenty of acidity. 100% Touriga Nacional, 24 hours on the skins. Lovely vibrant pink and a nose of strawberries, raspberries and cream. Palate has plenty of super sweet ripe, creamy fruit and creamy texture, with enough residual sugar to count as off dry perhaps, but then very clean acidity into the finish. Big, powerful, slightly raisiny, baked plum pie fruit. Lots of depth and darkness. The palate is flooded with rich, thick, berry fruits. Fine fruit sweetness, and mouthfilling baked fruit richness. Very robust and chewy tannins, and good length. Minty, mulberry fruit character, with plenty of black fruit, cherry and a certain tobacco quality. Lovely fruit on the palate too, with great sweetness again and a silky quality to the texture. There’s a nice bittersweet, chocolaty richness into the finish, where spice and a savoury, chocolaty tannin quality adds plushness and depth. This is a ‘field blend’ with various varieties co-planted in the same vineyard. It spends six months in French oak. Spice, light toast and a sweet tobacco note. Very creamy black fruit on the palate, with masses of fruit sweetness and a thick, rich mid-palate brimming with fruit. Plum, chocolate and a certain herbal note in the background, with a really tangy, savoury finish and excellent length. Another field blend. Big, modern, very sweet and minty nose, with lots of velvety black fruit, and a fine black chocolate richness. On the palate it is flooded with sour cherry and dark, glossy black berry fruits. There is plenty of tannin and acidity here to add structure, perhaps a touch of bitterness even, which is not at all unpleasant but adds a counterbalance to the sweetness of fruit. Lots of spice and charry toast broadens out the finish in a very full, plush, hedonistic wine. Made only in the best years. Very cedary, savoury Bordeaux-like nose, with an earthiness and touch of sweaty, muscular character. On the palate this is super smooth and very savoury, with bloody and gamy notes to the fruit and plenty of savoury, peppery dark fruit. Lovely resolved, ripe tannins. Beautiful length. 47 – 50 Euros per bottle, 2000 bottle production. Single vineyard wine. Seems lighter in colour and texture in the glass. Lightly minty, savoury, quite spicy and tobacco-scented nose, with a red fruit quality. Some slightly vegetal or gamy notes come through. On the palate this has beautifully sweet fruit, with fantastic summer berry compote sweetness, and a crispness about the acidity that adds a lithe, elegant spirit to the wine. Beautiful, silky tannins and length. Extremely fine. From a very old 70-year-old vineyard that looks as if it has been abandoned, strewn with boulders. Extremely dark, vivid colour. Portuguese oak gives a certain marzipanny, slightly volatile note. Very ripe, liquorice and fennel notes. On the palate this has massive presence: it has a very solid, chunky black fruit quality and supple, suave tannins. There’s plum and dark chocolate, and loads of sour black cherry fruit and acidity. A huge mouthful of a wine. Luis Lourenço runs this important estate in the small hamlet of Abrunhosa do Mata in the Dão. This was traditionally a farming area, growing both apples and grapes, but mostly composed of small farmers selling to cooperatives. At the beginning of the 1980s Luis made a conscious decision to re-plant with the most suitable indigenous varieties, and to start bottling his own wines, even though they knew selling these might be difficult give that the estate was basically starting from scratch. Today, Quinta dos Roques is a relatively large producer, with 40 hectares under vine and a production in excess of 200,000 bottles, about 70% of which is exported to 15 countries, with the USA the major market. See all Quinta dos Roques stockists on wine-searcher. A 50/50 blend of Cercial and Bical, two-thirds in older oak barrels. There’s a sense of more plushness, on the nose here, but the fruit is still dry and nutty white fruit. On the palate lovely elegance and freshness, with pear skins and lemon rind notes, and a dry minerality. These wines are crying out for some fish or seafood, but lovely finesse and clarity. 1,200 bottles. A very difficult grape to grow, requiring masses of work in the vineyard, and has almost died out. Fermented in old 650 litre barrels. Fine pear fruit and nicely perfumed, with a little floral note and ripe melon. On the palate there is lovely richness, with just a touch of creaminess and really nice fruit. The acidity has a touch of minerality to it, with fine, dry lemony fruit. Very fine. Around 7.50 Euros, but only available locally. 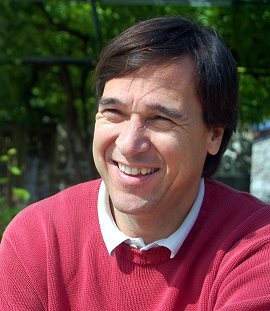 Luis Pato, affectionately known as the ‘King of Bairrada’, is the man who has done most to put this region on the modern winemaking map. 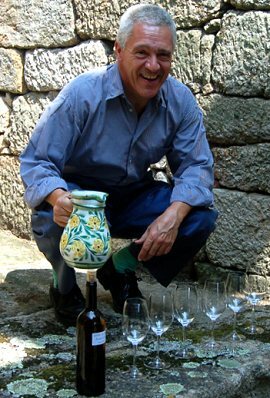 He is one of Portugal’s most controversial winemakers, and is a serious player with 65 hectares in production. From 2006 his vineyards are devoted entirely to Portuguese varieties, all international varieties having uprooted. Pato’s passion is the Baga grape, and he says his chalky clay soils are perfect for it. Other varieties like Touriga Nacional are grown on sandy soils, in a meticulously planned estate. Luis now shares winemaking duties with his daughter, Filipa. I met up with Luis at his impressive new winery, where the underground cellars are buffered from the heat of the day by a sculpture garden. Pato means ‘duck’ in Portuguese, and a playful duck motif runs through the building, hinting at the mischief more clearly seen in the twinkle in Luis Pato’s eyes. Whether he would admit to the labels others have attached to him – maverick, visionary, moderniser – is a moot point. Certainly wines like am icewine that is in production (assisted by freezer technology) certainly suggest some lateral thinking, but in fact the Pato concentration on indigenous grapes and matching vine to soil takes a fundamental approach, as does his use of local chestnut as well as oak in his barrel cellar. These wines are imported into the UK by Raymond Reynolds. See all Luis Pato stockists on wine-searcher. 100% Maria Gomes. Quite full and peachy on the nose, with some peach kernel notes, herbal nuances but an attractive suggestion of sweetness and fatness. Lovely palate too, with an off-dry suggestion of ripe pear and lovely clean, lemon sherbetty notes with crisp acidity. Delightful. Very pretty pale Oeil de Perdrix. Juicy and soft summer berry scents, but with a hint of crunchy, fresh, sherbetty quality. Very racy and fresh, tastes dry with lovely fruit quality. Vibrant, quite schisty nose with black cherry and racy violet and mineral notes coming through. A certain blue/black savoury fruit quality. Lovely sweetness, with a plush, glossy depth of black fruit, very fine, gentle tannin and acid structure and lots of sweet fruit depth. There’s a charcoally, mineral richness to this wine, made with roto-fermentors. A lot of softness and some smoky richness. On the palate there is a touch of gaminess, and a lovely soft fruit quality but still with a nice background structure of gentle tannins and good cherry acidity. There’s a beautifully racy, juicy, crispness about the fruit on the nose of this wine made from 80-year-old Baga that spends one year in French oak. On the palate there is a leafy, elegant cherry character, with some earthiness and sous-bois. At this point Luis declares that research suggests Baga may be related to Pinot Noir, and I can see certain similarities.